Hey DivasGals! 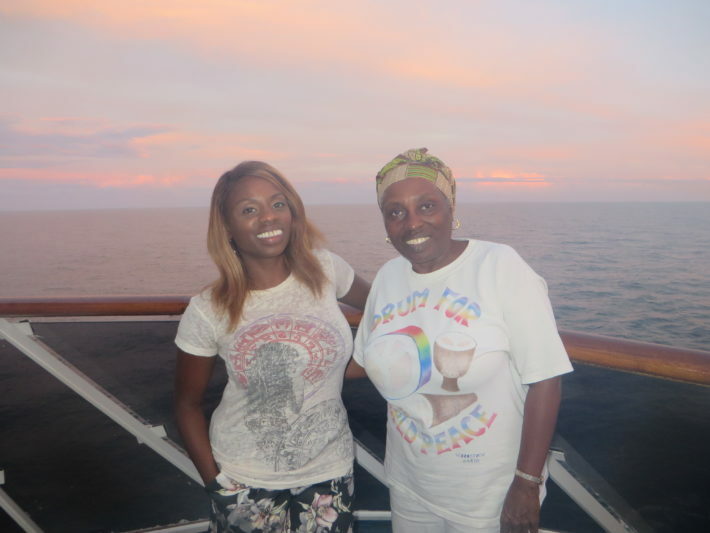 I celebrated my birthday on Sept. 26 and as a gift, my wonderful mother gifted me a Carnival Cruise to the Bahamas. Needless to say we had a blast. 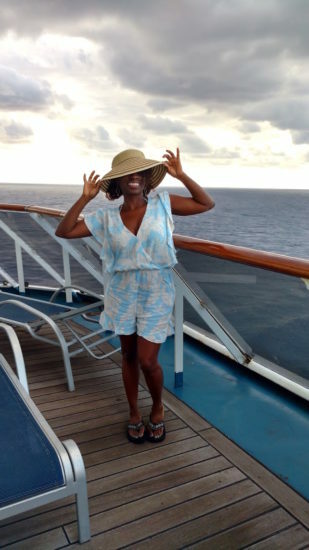 Of course, a lot of the fun was getting dressed for my seven-day, leave-cares-behind vacation on the seas that included endless food, entertainment and time in the sun. 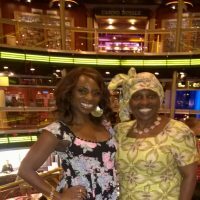 Check out some of my favorite looks that I wore while traveling on Carnival Pride out of Baltimore, Md.! 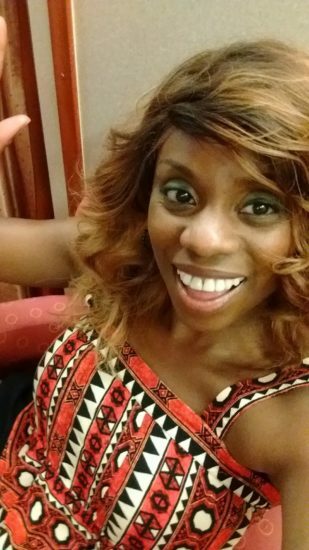 On my actual birthday – Sept. 26 – I needed a cute day outfit. This flowy jumper from H&M was the perfect choice. 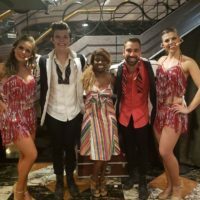 Our adorbs cruise director Leigh had other ideas. 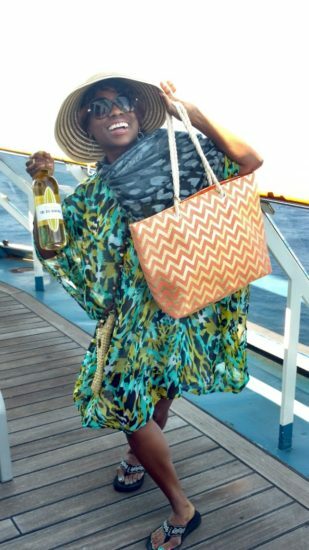 He was too kind to gift me this beach coverup, sunhat, beach bag, scarf and shoulder purse, all from the Carnival Fun Shops. Most items are only $10, and they ALL came in handy! 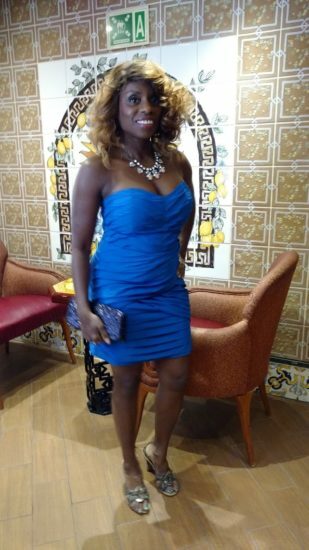 I rocked this electric blue strapless dress from Ark & Co. form my birthday dinner on elegant night, posing in one of Carnival Pride’s many gilded hallways. 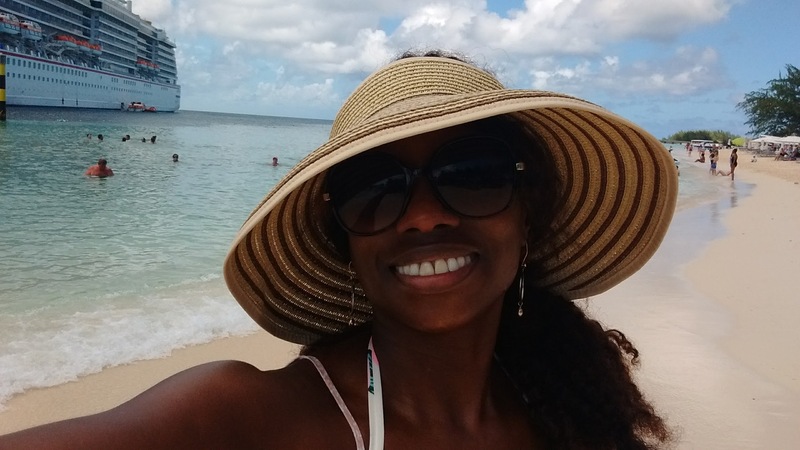 To hit the waves at Half Moon Cay, Carnival’s private beach, I wore a classic-inspired striped bikini top, and yes, it does hold up the girls. I picked up the top and its ruched black bottom at H&M during my West Palm Beach, Fla. trip. Here I matched it with dusty pink demin shorts from Max Jeans and my all-terrain Telics. 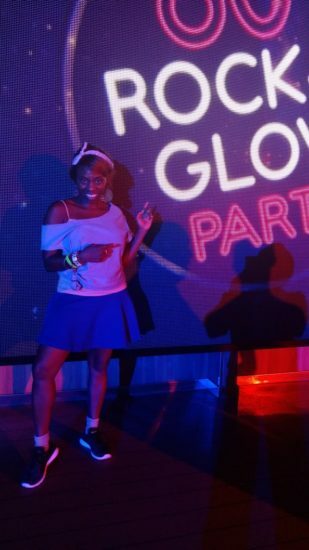 I needed to get creative for Carnival’s 80s Rock & Glow Party, so I slipped into my fave Old Navy ponte skirt, topped a dusty rose tank from Forever 21 with a tee I had DIY-ed for bedtime, worn inside out, and slipped on a pair of ankle socks with my Under Armour Speedforms that travel light for workouts anywhere. Next time I’ll be more prepared by studying the itinerary on the Carnival HUB app BEFORE I embark. 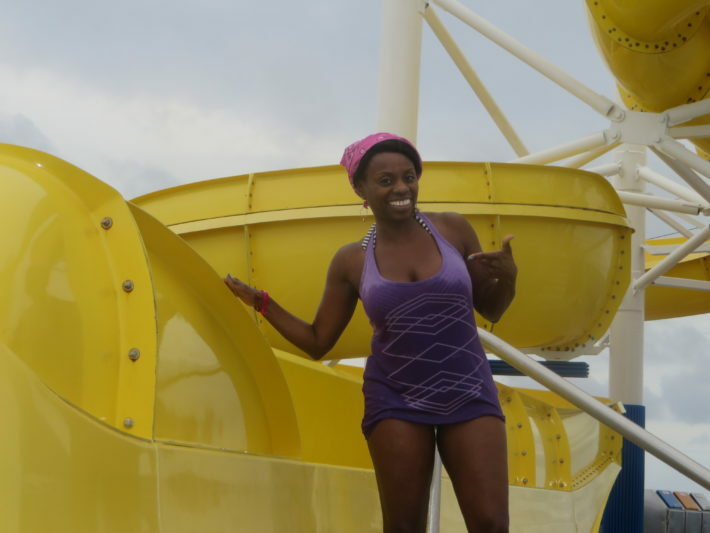 This workout top from Forever 21 made a great cover-up as I took to Carnival’s Twister Waterslide. Yes, you caught me. 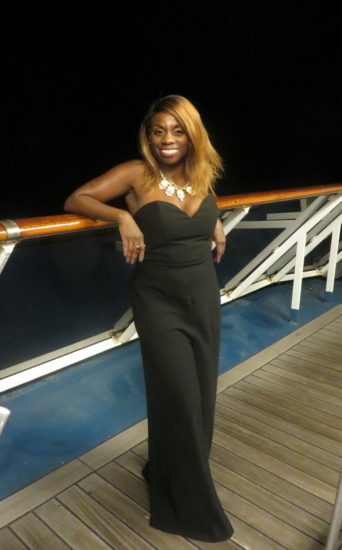 What I wear on the Lido Deck when I’m scoring pizza at 1 a.m. in the morning (Carnival serves it 24/7!). This tribal print swing top from H&M hides the belly evidence! I was ready to kick up my heels with the Carnival Playlist Productions performers in these floral shorts by Molly Bracken and J.Crew halter top. My favorite ship outfit of the week! A late night shot on our suite’s private wraparound balcony was the perfect backdrop for this H&M strapless jumpsuit and Ann Taylor necklace. Nails done in the ship’s full-service salon and spa! 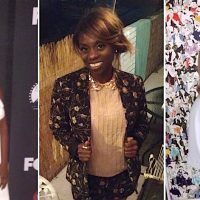 What To Wear This Summer In The Northeast, Southeast & West Coast!